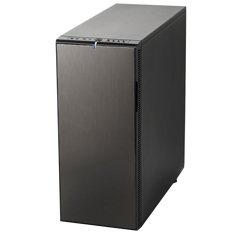 The Fractal Design Define XL is the larger sibling of the acclaimed and award winning Define case. Similar to Define, it offers a number of interesting functions with a very stylish appearance. It's a case focused on low noise level, without neglecting other important features such as cooling, expandability and ease of use. Includes USB3.0 upgrade kit.